With us expecting baby #2 and the fact that we had gotten rid of all of C's old baby things, one of the things we needed was a baby bath. Shnuggle sent us out one of their baths and I'll start this review by saying one thing; there aren't enough words in the English language to describe how much I love this bath. As soon as I opened it out of its box, I was a bit surprised that it was foam. 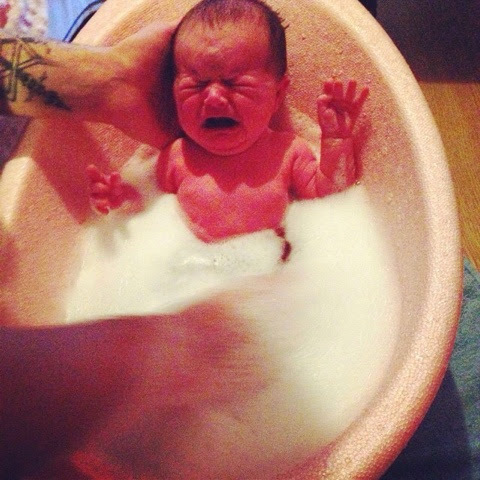 I'd never seen a foam baby bath before and I was curious to see how it would hold water. The foam is actually super-strong polypropylene foam which means that it's lightweight (only 0.4kg!) durable and it's about 1000 times stronger than other foams. 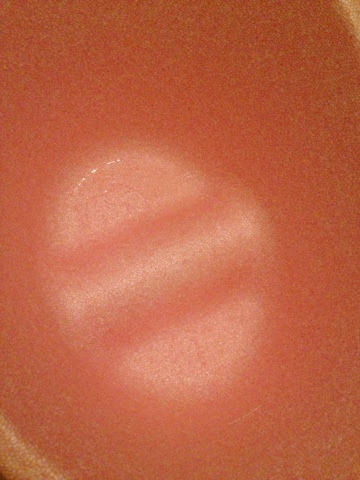 The foam makes it constantly feel warm (well, room temperature) as opposed to cold plastic baths. It's kind to your baby's skin too. It has a clever Bum-Bump (my favourite feature of the bath!) and sloping back so that your baby feels safe and secure. We had a regular plastic bath with C and I always had to have Chris here to help me bath him as I could never hold and wash him at the same time. The Bum-Bump makes washing your baby so easy. I don't even have to hold E at all now that she can hold her head. 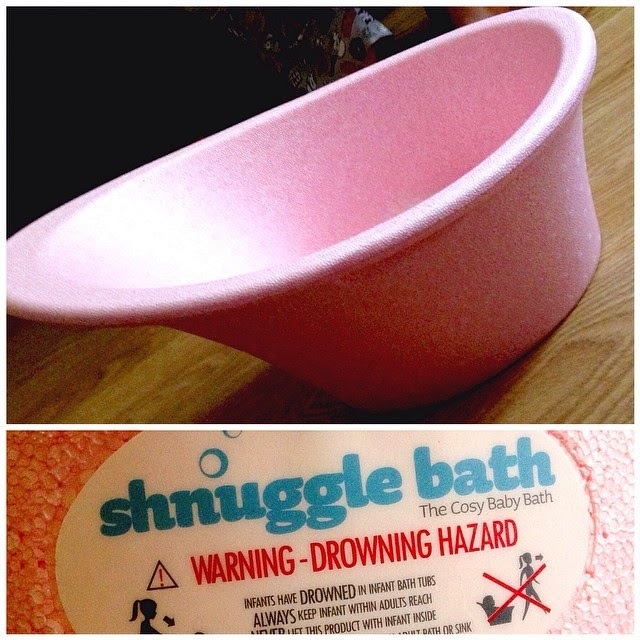 The Shnuggle bath has been one of those items that I never knew I needed until I had it. There is no way I would ever use a regular baby bath now. It's a lot more compact too at 58 x 37 x 35cm. The Shnuggle bath retails at £30.00 at Shnuggle's online shop. Seriously, at that price, go buy one. You won't regret it! It does your baby from birth to 6 months and I'm already crying inside. What am I gonna do when E is too big!? They also sell the most adorable Moses Baskets too so if you're expecting a baby, definitely pop over. You can find out more about Shnuggle at their website, Facebook and Twitter. 2 comments on "Shnuggle Baby Bath - Review"
We are facing several kinds of problems during baby bathing; therefore in most of the occasion we used to take better precautions during baby bathing. The most common thing in baby bathing is how to handle a baby with care and without crying; from here we have found some essential tips on how to take very good care of our baby while bathing. I would like to follow this idea present here and hope to perform a successful baby bath.